Did you know... since the arrival of natural gas in Northern Ireland in 1996, customers switching to natural gas has resulted in 7.5m tonnes of CO2 being removed from the atmosphere? What's more, householders using natural gas continue to save on CO2 emissions, equating to the removal of 350,000 cars from the road each year. Phoenix Natural Gas is proud of its environmental credentials and is committed to protecting and preserving the local environment. Phoenix Natural Gas is the only company in Northern Ireland to be awarded three Swords of Honour by the British Safety Council. The company also recently achieved Platinum status in the 2018 Business in the Community Northern Ireland Sustainability Survey for its commitment to environmental excellence. 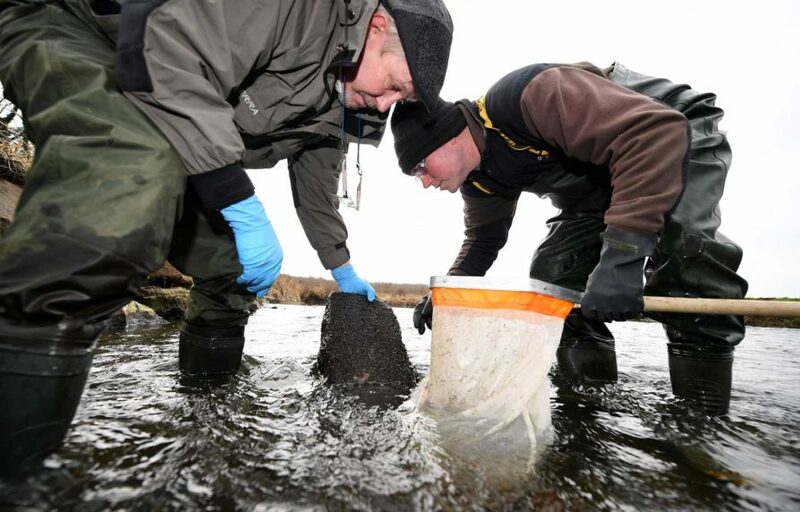 The River Lagan is brimming with life after the creation of a new spawning bed by Phoenix Natural Gas, located at Gravelhill Road in The Maze, Lisburn. Phoenix Natural Gas had been working in the area to develop the natural gas network and bring the benefits of natural gas to homes and businesses in the locality. As part of its commitment to conservation and enhancement of the local environment, Phoenix Natural Gas worked closely with the Lagan Rivers Trust to help create a new river access point to conncet the community to the river. The company also created a new river bed which has not only helped conserve important species, but it has allowed new species to settle into the habitat. In a second project with the Lagan Rivers Trust, Phoenix Natural Gas completed a key environmental initiative to connect the local community with the Seymour Hill Woodland and river area. Lagan Rivers Trust had been working on a project to rejuvenate the Seymour Hill Woodland area with the aim of improving woodland biodiversity and increasing people’s understanding and enjoyment of the woodland and river environment. The large scale project involved the creation of a path to connect the local community woodland with the river environment, enabling visitors to enjoy an area previously inaccessible to them. As a key corporate partner, Phoenix Natural Gas provided funding for the project, including installing seating areas to allow the public to enjoy the surroundings. 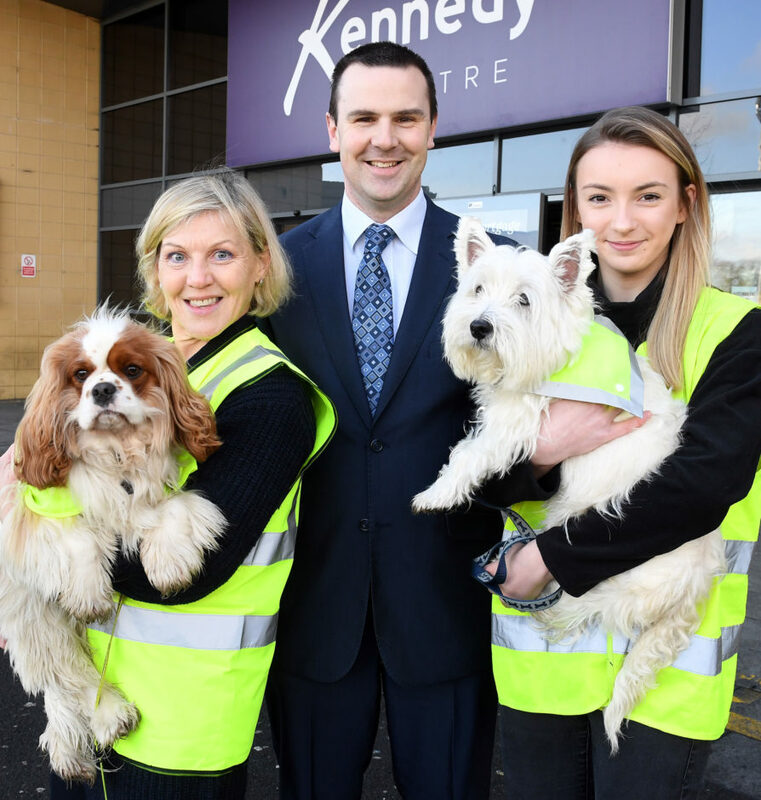 "Hi Vis Hounds" was set up by a group of nine dog loving girls from Bloomfield Collegiate School in Belfast to promote dog safety in an ethical way. The company produces handmade high visibility clothing for dogs made from reused and recycled materials obtained from local companies, including Phoenix Natural Gas. Phoenix Natural Gas provides old personal protective equipment to the school pupils who then clean the material and recycle it to make a range of products for dogs, including high visibility bandanas which reflect headlights and helps keep dogs safe when walking at night. The pupils participated in a Young Enterprise Week business event to sell their products and received awards for Best Marketing and Best Overall Company from the Federation of Small Business. “This is a fantastic accolade for the pupils and we look forward to continuing to run the company with help from local organisations and particularly Phoenix Natural Gas.” - Bloomfield Collegiate teacher, Simon Irvine. 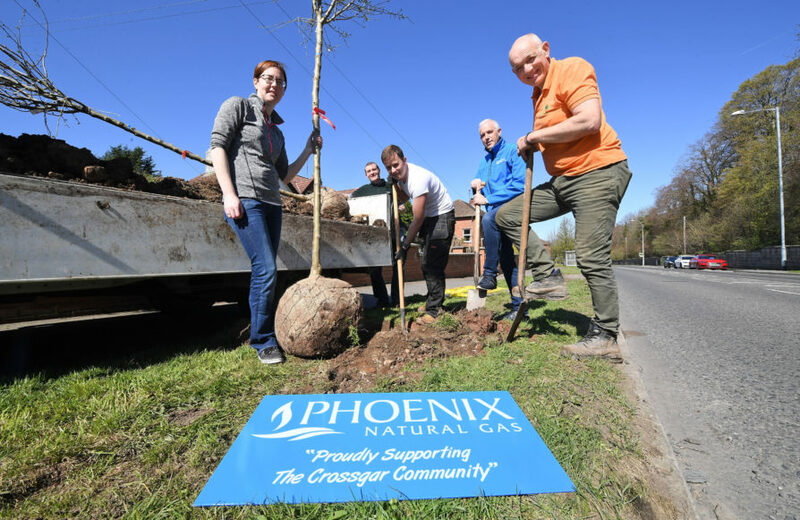 Crossgar Community Association, in partnership with Phoenix Natural Gas, undertook an environmental project to rejuvenate Crossgar town centre by planting trees and wildflower to breathe new life into the area. Volunteers from the Association, along with Phoenix Natural Gas staff planted over 20 mature trees in the village and sowed wildflower seeds in the verges on the main routes into Crossgar. “As an environmentally focused company, Phoenix Natural Gas recognises its environmental responsibilities within the areas we are serving. We are delighted to support this fantastic initiative by Crossgar Community Association to not only improve the local environment, but to promote environmental awareness amongst the community and inspire a new generation to help build a greener village" - Jonathan Martindale, Phoenix Natural Gas Executive Director. Phoenix Natural Gas employees regularly participate in volunteering days, organised by Business in the Community. The events aim to encourage businesses to support the beautiful landscape across Northern Ireland through employee supported volunteering. 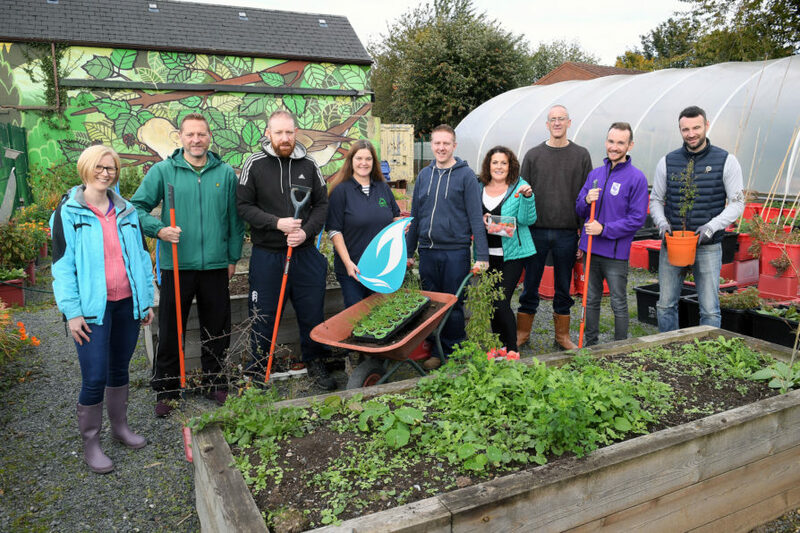 Most recently, volunteers from Phoenix Natural Gas and the Gas Network Operator for Northern Ireland came together to participate in an environmental project at Diamond Jubilee Wood in Whitehead as part of the nationwide 'Be a Saint Day'. Staff spent the day carrying out weeding and mulching of the community orchard together with Friends of Whitehead Diamond Jubilee Wood. Staff also partnered with volunteers from the Utility Regulator for Northern Ireland to partake in Business in the Community's 'Love Your Landscape Day'. As part of its corporate social responsibility programme, Phoenix Natural Gas invited the Utility Regulator to collaborate on the conservation project at Clandeboye Estate in Bangor. Working with members of The Conservation Volunteers Northern Ireland, a team of 20 volunteers from both organisations spent the day carrying out coppicing and propagation of Osier Willow within the grounds of the Estate, the only willow nursery of its kind in Northern Ireland.